I am super proud of this pattern! This was my third design for the crate crochet subscription box. 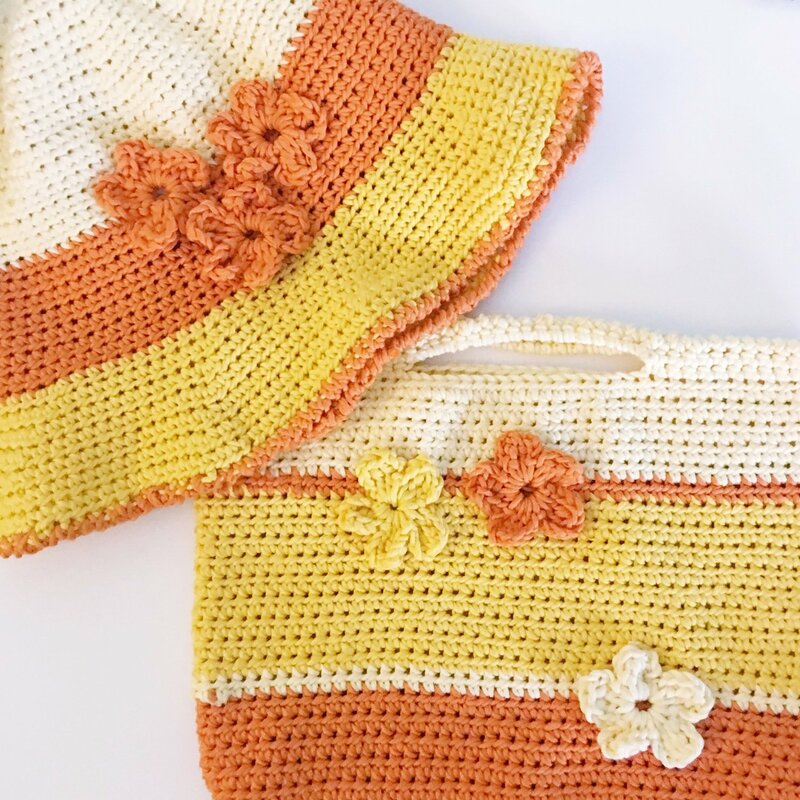 Two patterns are included - a hat and a bag! And these patterns introduce my FLOWER STITCH which is a stitch i designed myself - one where you work the flower as part of the row! No more needing to make them separately and stitch them on afterwards. Both of these patterns are worked in the round so no assembly is required at the end. These were designed using a beautiful Australian 10ply pima cotton which is such a delight to work with. You can of course work with anything you have. Suitable for advanced beginner and intermediate. Includes instructions for how to make the special stitches. Pattern includes both US and UK terms. A 4.5mm hook was used.